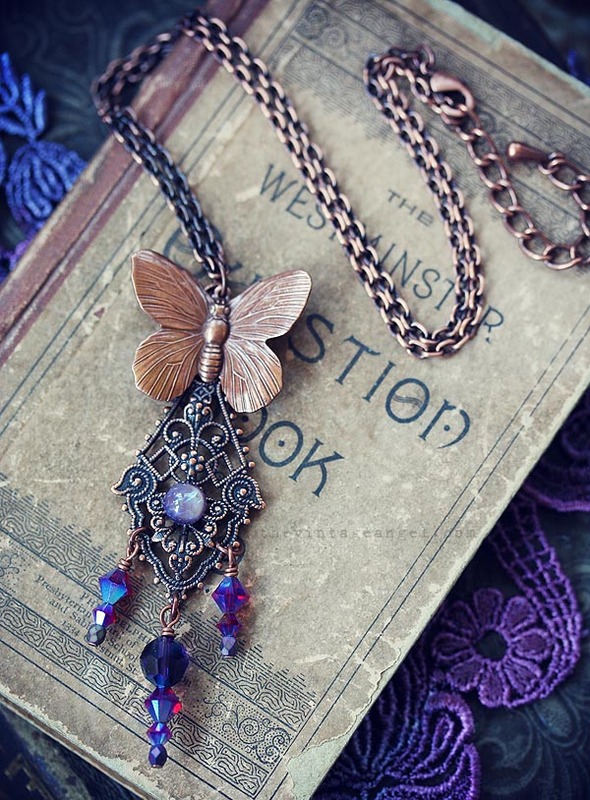 An absolutely vibrant bohemian inspired necklace in antiqued copper with a stunning purple Dragon's Breath opal and all shades of purple Swarovski crystal beaded accents. 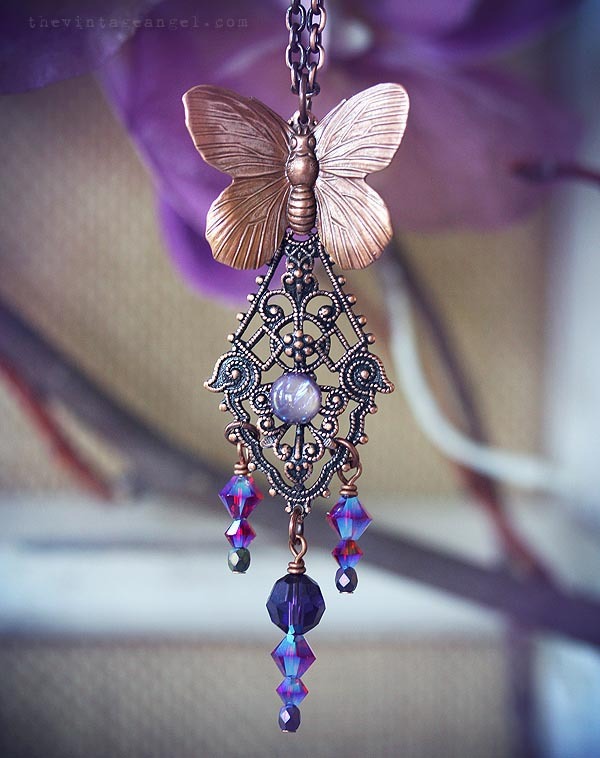 A large filigree pendant is topped with a butterfly and accented beautifully in shades of purple, hung from an 18" long antique copper chain with 2" extender. 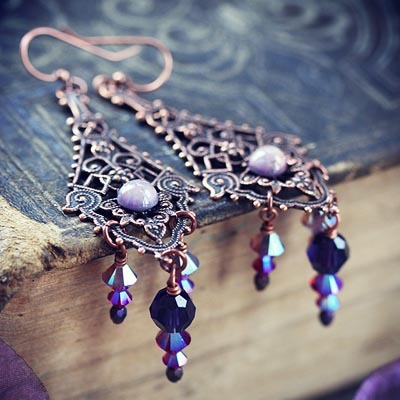 All metal is American-made brass with antique copper plating, free of lead and nickel. 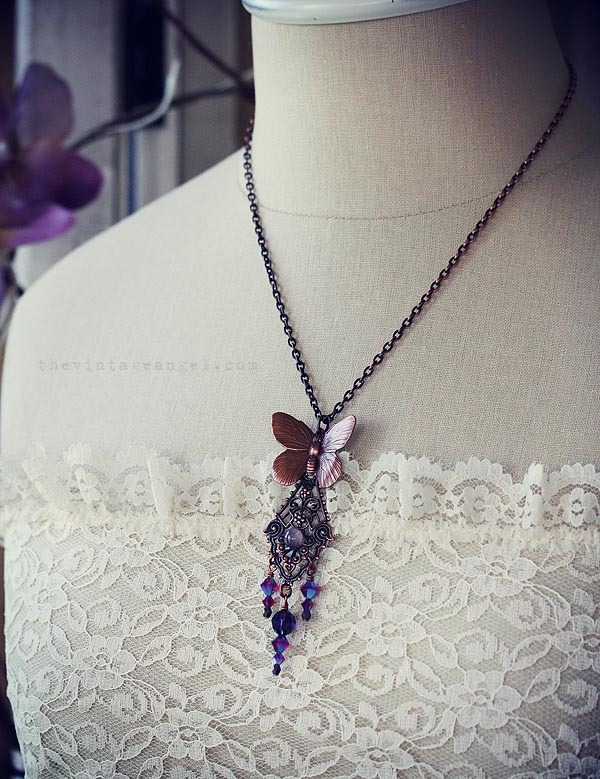 Chain adjusts from 18" - 20", lobster clasp at back. Shown on my life sized dress form for an idea of size and fit.